Browse through the various types of generators for the type you’re looking for. Compare the generators by the different features like Watts, Portability, Fuel Type and more! Click on the offer that makes the most sense and buy your generator to start powering things! The word generator is synonymous with the term power outage, after all, we only remember the essence of a generator in case of a power outage. But today`s generators are more than that; a quality generator can perform as an excellent secondary source of energy. While power outage may last for a few hours or days, during heavy storms it is necessary to have a powerful alternative source of energy. The necessity of a generator becomes even more important during winter. Life can become real bleak without a source of energy. While most of us are always at the mercies of the power suppliers, most homeowners have not warmed up to the idea of investing in a generator. This is despite the fact that most of our electrical appliances are power guzzlers that end up costing us a lot. And, yes, I concur with the fact that most of our home appliance are smart devices, hyper-sensitive, ultra-tech and may be damaged by the “unclean” energy from the generator. Fortunately, the cut-throat competition among giant generator brands has paved the way for more smarter, pragmatic, efficient and even more sensitive generators. Additionally, the new age generators can match and even surpass energy output compared to the conventional electricity. Portable generators are available in a motor powered or electric versions. The motor powered are more popular and are powered by diesel, liquid propane, or natural gas. What makes the portable generators a popular choice among many homeowners is their portability and versatility. This allows flexibility regarding application and location. These generators can be used to provide power to remote job sites and are common in the construction industry. They can also be used to provide lighting system to temporary facilities such as offices, schools, and restroom. With a portable generator, the possibilities of application are limitless, and what`s more, they are the cheapest in their range. This is a more costly generator option. The stationary/standby generators closely monitor the provide voltage from electricity and start up once there`s a break in voltage. They ignite immediately, thus providing a seamless power transition. Just like the portable generators, the standby generators come in both the electric and motor powered versions. The motor powered versions may be connected to your propane/gas tank, while the electric versions may be connected to the electric utility to charge its batteries. These models are commonly found and used in sectors that rely and require a continuous flow of energy such as hospitals, warehouses, banks, emergency services, high-security firms, grocery stores with perishables, large milk stores, and any other business that rely on electricity. This is the brainchild of the latest technology in the generator`s domain. Unlike its blood cousin; the traditional generator, the inverter generators are quite-running machines that are both portable and lightweight. Moreover, the inverter technology allows the generators to be used with ultra-sensitive gadgets such as laptops, TVs, microwaves, and phones. While a traditional generator runs at full speed regardless of the energy needed, an inverter has a self-governing throttle that adjusts depending on the appliance. This allows you to save on energy, runs smoothly, it’s greener and quiet. Automatic start and switch off – When the power goes off a generator with an automatic start goes on automatically – without your intervention. Similarly, when power is restored, it switches off, thus preventing circuit overload, which can be devastating. 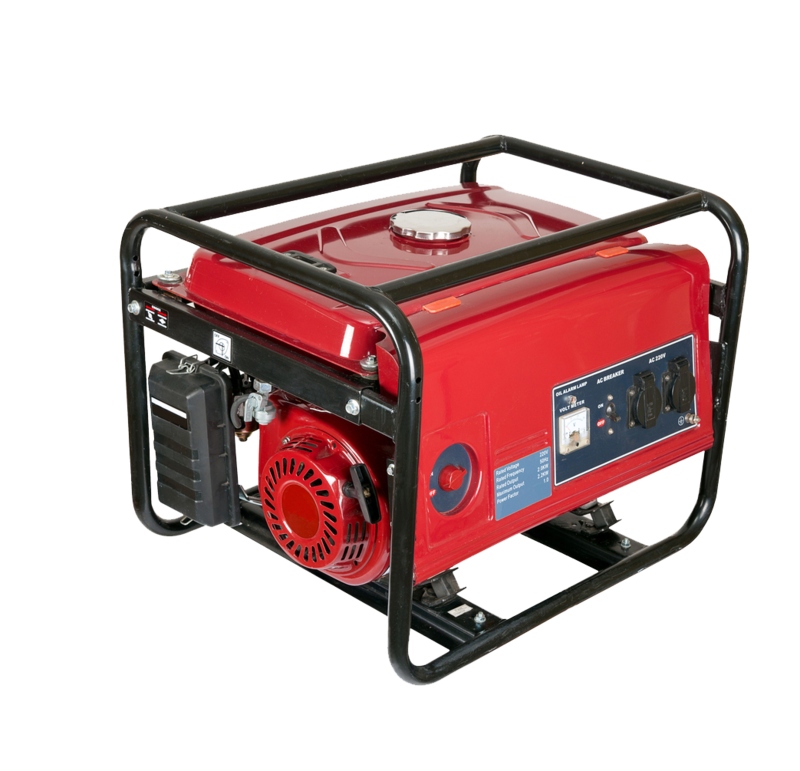 Fuel options – Although most portable generators run on gasoline alone, some are equipped to run on a natural gas or propane line or can be converted with kits. Low oil shutoff – This is pretty standard with the standby models, but its gaining traction with the portables. A low oil shutoff prevents any damage to your generator in case the oil falls below the minimum levels. Mounting pad – This is a cushion/layer placed below the generator to provide an additional layer of protection to the steel or rubber below and prevent it from sinking into the mud. Portable generators for outdoor activities – With the availability of portable generators, camping, hiking, fishing, and hunting has been made more easy and convenient. Now, it`s possible to tag along with your favorite cappuccino brewer or a microwave, deep in the woods. Generators for businesses, and contractors – Ask the contractors, and they`ll tell you. A portable generator is the most invaluable assets they have. With the availability of energy in remote job sites, construction workers can now easily work with their spray guns, and weld.To the small investors, investing in a quality generator is no longer an option if you want to have a competitive edge over your competitors. Generator for extreme weather – Having a quality backup generator in areas that experience severe weather conditions such as the artic climate is crucial.For example, a power breakdown during the winter season can be extremely lethal. A backup generator may be useful to charge up the heating appliances. Generator for backyard use – Some of the home tools that we have required use of electricity. For example, a generator can be used with the drills or saws. Comfort, convenience of the family – This is probably why most people invest in generators. Providing your loved ones with the comfort and convenience in case of a power outage is the best way to express your love. With the demand for generators on the rise, the number of dealers has increased in a similar way. Just like any other industry, the lucrative venture has led to a surge of scrupulous entities, and you should tread with care before committing yourself to any dealer.Here is a breakdown of what you should look out for in any dealer. Reliability and trustworthiness – These two might be quite subjective, but with the internet around, it`s easy to find out about the supplier. For example, an online “search review” will present you with firsthand information about the dealer.Online customer reviews will give you with a clear picture about the dealer. Competitive cost – Quality comes at a cost, and note that an excellent generator is not cheap. You should always tread with care in case you find a dealer offer extremely low prices for a given brand; It`s either the generator is not authentic, it`s low-quality or even a defect.On the other hand, that does not mean that you go for the costlier option. You should strive to strike a balance between cost and quality. After sale services – Standby generators are complex, and they require professional in case of a problem. A good dealer should provide you with after sale services such as maintenance and repair. Although don`t expect a free maintenance service, the dealer should at least provide one with a discounted price.